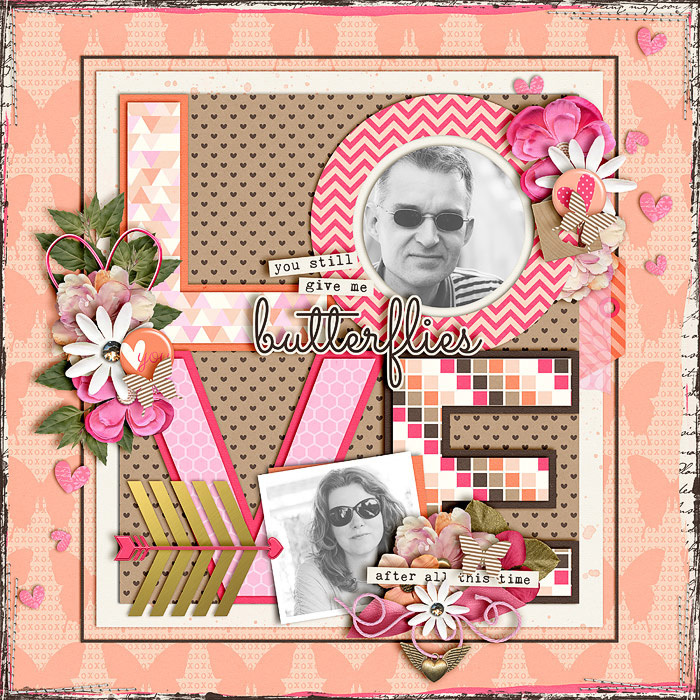 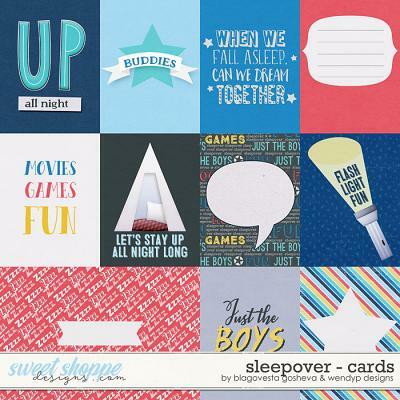 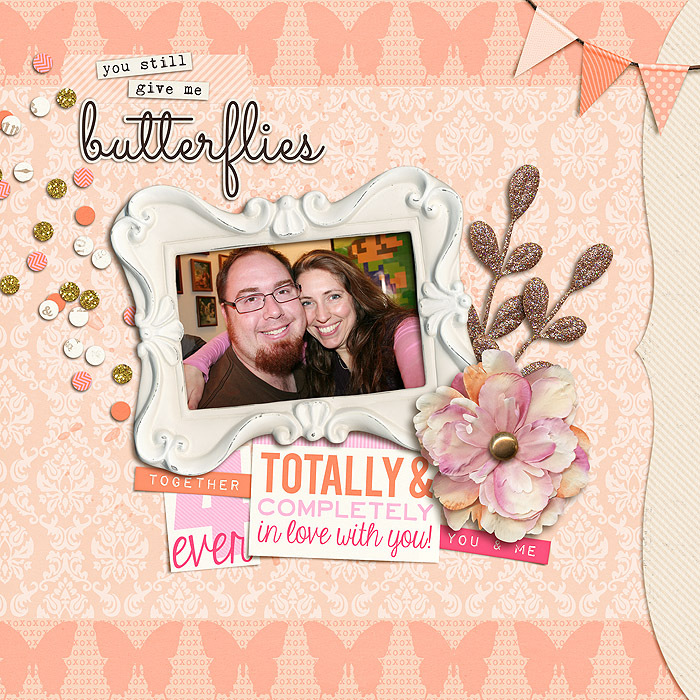 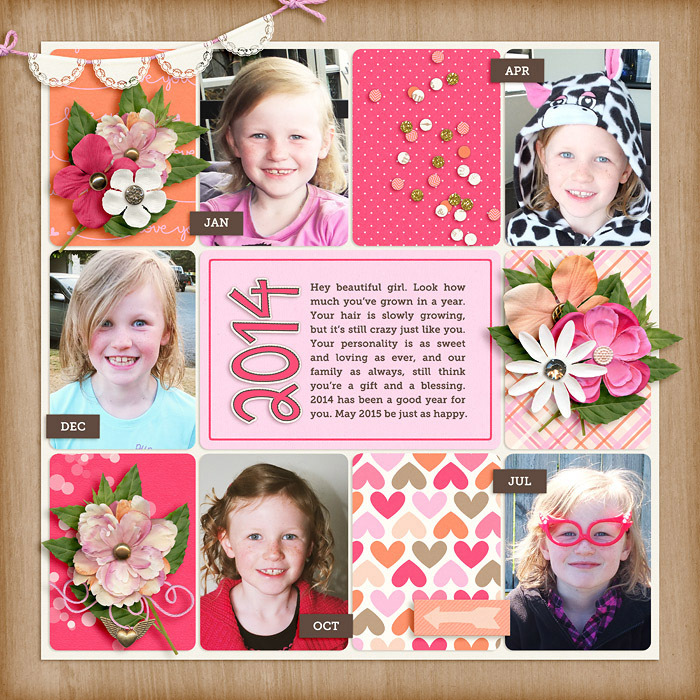 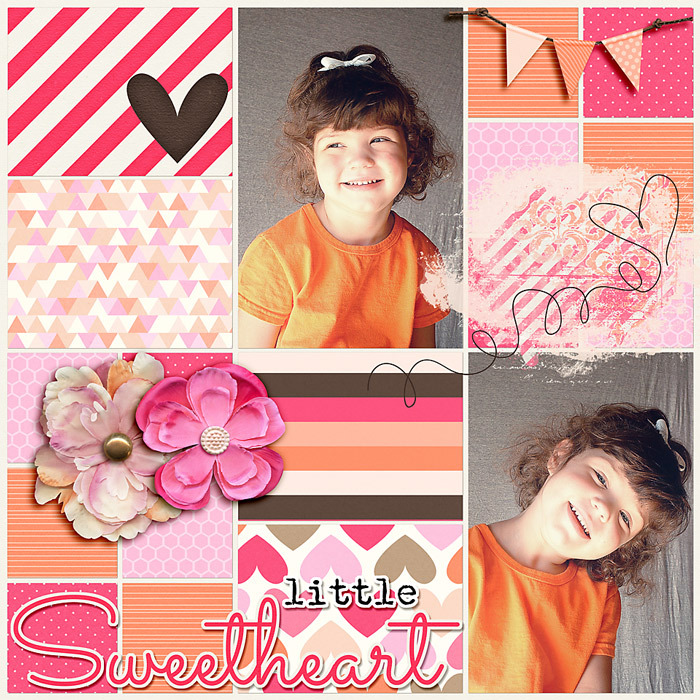 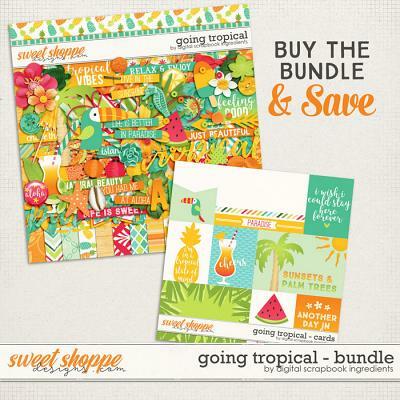 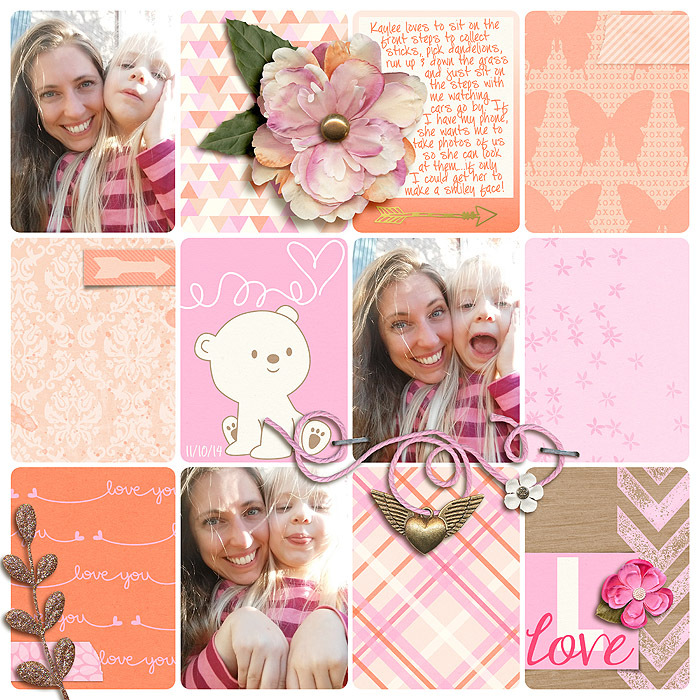 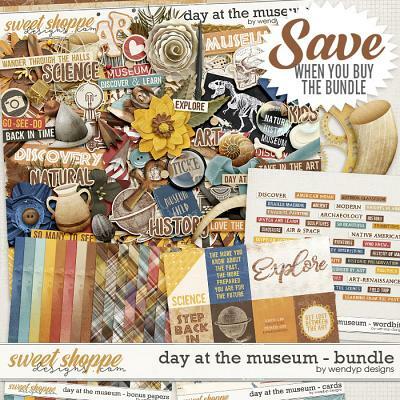 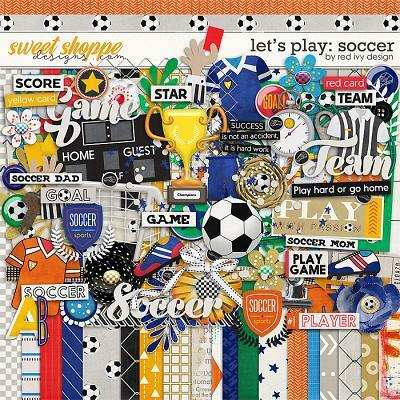 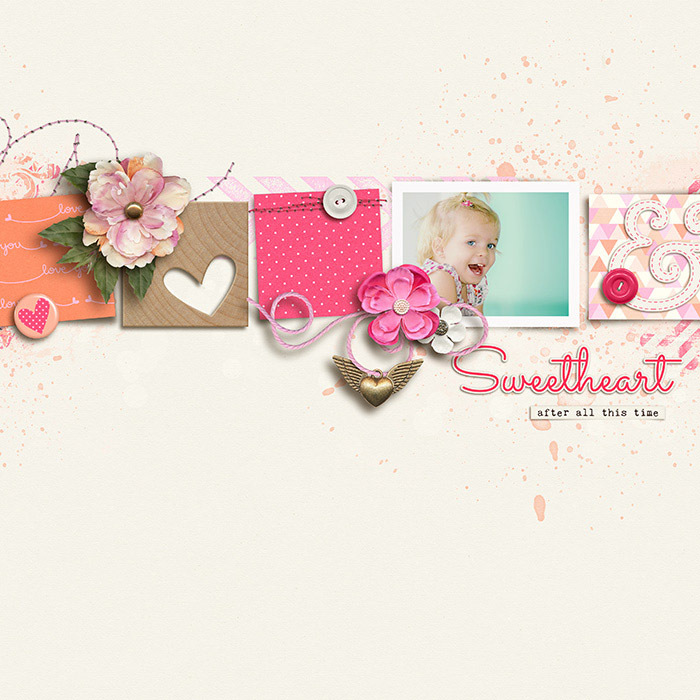 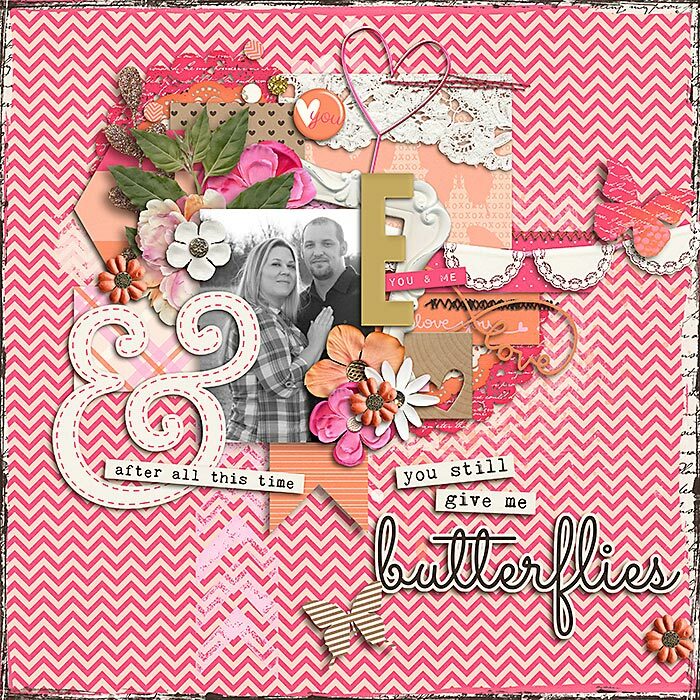 A digital scrapbooking kit by Libby Pritchett & Erica Zane, Something to Blush About was made with love to add a romantic flair to your pages or simply make your photos shine with its gorgeous colors. 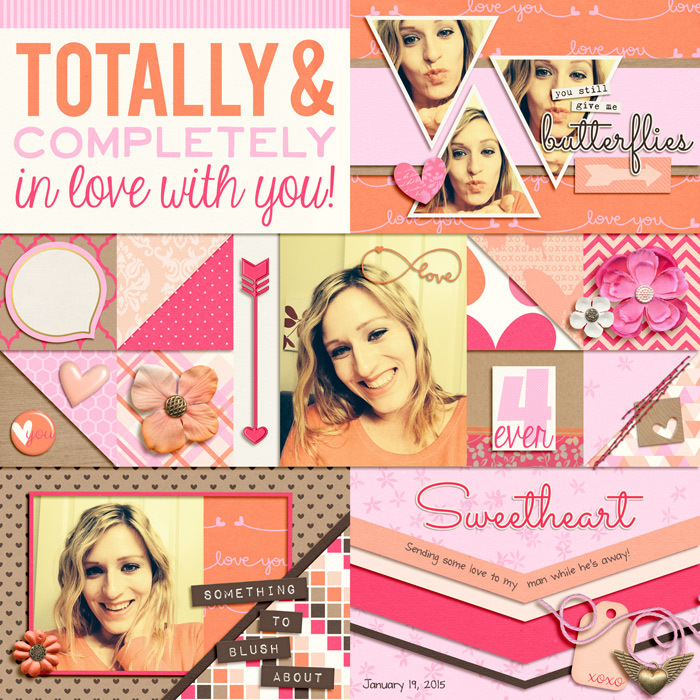 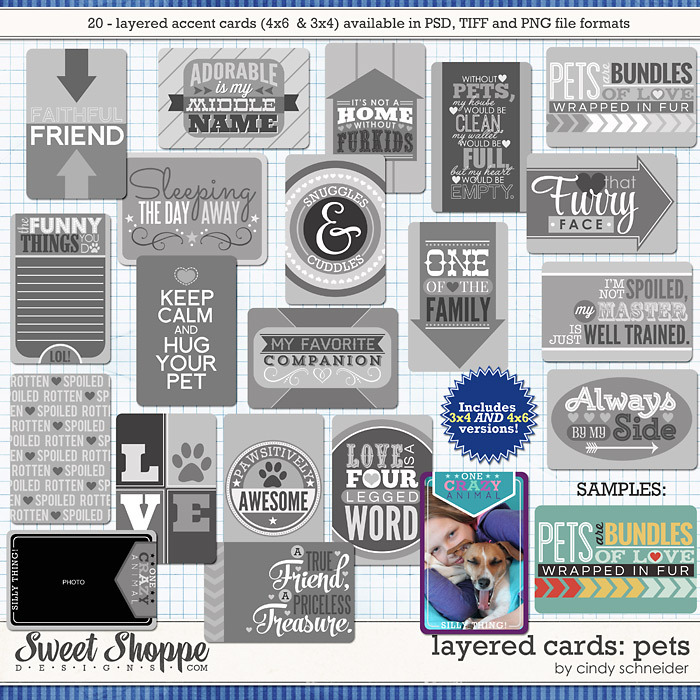 Packed with 27 digital scrapbook papers, 75 digital scrapbook elements and 2 digital scrapbook alphabets (saved as individual .png files) this kit is perfect for Valentine's Day or any other day! 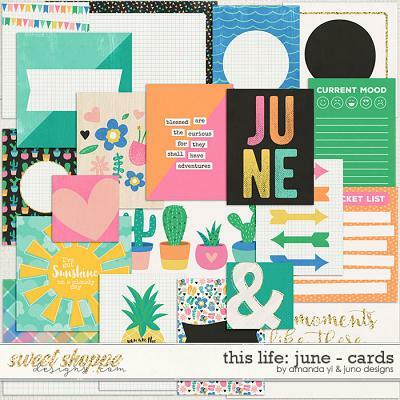 The elements include: 12 word art pieces, 7 flowers, 5 sets of stitches, 4 tags, 4 leaves, 4 hearts, 3 frames, 3 arrows, 3 paint spills, 3 buttons, 3 flair, 2 banners, 2 butterflies, 2 chevron, 2 pieces of tape, 2 trim pieces, heart charm on string, confetti, geo tag, journal card, doily, set of photo corners, lace, ampersand, doodle, speech bubble, ribbon, bow, 12x12 edge overlay and a staple.